About Us This web site is owned and operated by Gates Gates who are completely dedicated to your total satisfaction. If you have any suggestions or comments or if you need to contact us, please email us using the link on the store page or use the details below. Prices are believed to be correct at time of going to press / website but may vary without notice. Goods will be invoiced at the price ruling at the date of dispatch and we reserve the right to amend any errors or omissions. Value Added Tax (at the current rate) where applicable, will be added at the time of invoicing. Goods paid for by credit card will only be delivered to the address to which the credit card is registered - there are NO exceptions. If goods are paid for by cheque, then the goods will not be dispatched until the cheque has cleared into our account, normally seven to ten days. If you wish to apply for credit facilities, request an application form; however, note that credit facilities will not be granted in any case until there have been a minimum of three separate & successful cash/cheque/credit card transactions. There will be a charge of £25 on each occasion for any cheque rendered in payment against an account where the cheque has to be represented or is initially refused. Whilst any payment remains overdue we will refuse any further goods or services until the account has been brought up to date. if the line of credit is not brought up to date within the specified time period (30 Days) we retain the rights to recuperate the outstanding balance from Bank or Credit card details we hold for the account. Any purchaser who is continually late in paying will have their credit facilities withdrawn. Interest will be charged on overdue accounts at 4% over the current bank rate per calendar month or part thereof from the date of the invoice or supply whichever is earlier. Should it become necessary to take legal action to recover monies owed all costs incurred (including time, company search and debt collection agency fees) will be added and recovered. Lien. Gates Gates shall have a general lien on any goods, items or any parts thereof or other paraphernalia which are the buyer's property giving the right to retain possession or to withhold delivery, or of stoppage in transit, until all outstanding payments, costs, expenses, or losses suffered or incurred as the result of any breach of contract of the customer, has been paid for or otherwise satisfied. Should due payment not be received within three months of the due date, Gates Gates will sell or dispose all or part of the retained items in any way that it sees fit without further notice and keep the proceeds of sale in diminution of such sums and all costs incurred by the company in effecting the said sales. Any balance remaining shall be remitted to the customer. Upon any such sale title in the goods shall pass to the purchaser thereof. If no specific instructions are included in the customer's order, consignments will be despatched by our normal route and mode of transport to the usual destination or the destination indicated on the customer's order. Gates Gates accepts no responsibility for errors where written confirmation has not been received. Every effort is made to meet quoted delivery times, but it is impossible to guarantee them. Gates gates shall not be liable in any way for failure to deliver on time whatever the reason. NOTE: our deliveries, always require a signiture due to the high value of our goods. The buyer must examine the goods on receipt of delivery before signing any consignment note. All deliveries will be considered as received in good condition unless you specifically sign as 'damaged', etc. 'Unchecked' will not be accepted as a valid status. Your signature on the delivery receipt is your acceptance of the goods arriving in good condition unless they are signed for as damaged. If there is nobody available to receive your delivery at your stated delivery address, the courier company will usually leave a card for you to organise collection from your local depot. If you require redelivery, then each redelivery must be paid for in advance; the cost of each re-delivery will be at 50% of the normal (non-promotional) delivery charge to you or £9 ex-VAT whichever is the greater. Strict enforcement of this delivery policy helps keep our delivery charges to a minimum for the majority of our customers. All goods are packed to ensure safe carriage, and the company cannot accept responsibility for loss or damage in transit. Complaints of loss or damage must be notified to the carriers and Gates Gates within three working days of the date of delivery; a claim must similarly be made within seven days of the date of delivery. We accept no responsibility that goods stipulated by you are sufficient for any particular purpose. Verbal instructions are accepted on the basis that Gates Gates will not be held responsible for mistakes arising thereof. 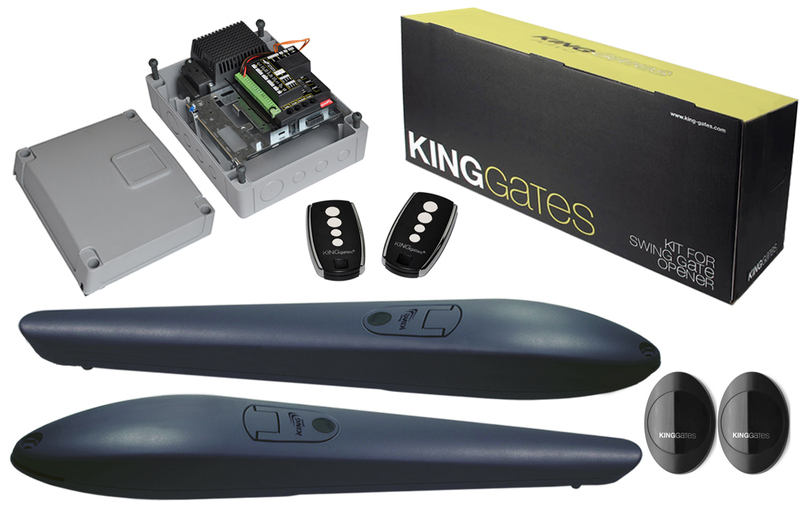 The 12 months Limited Warranty on all goods supplied by Gates Gates is on a return for repair basis. Any longer warranty issued by a manufacturer will require these to be returned to the manufacturer's head office or service address, in or outside the United Kingdom. Gates Gates shall not be liable in any way for failure of any product supplied. In particular Gates Gates shall not be liable for labour costs involved in replacing faulty items or fault finding. Gates Gaters warrants to you that the supplied goods will be free from defects in workmanship and materials under normal use for a period of one (1) year from the date that the goods were first purchased by you. If a defect arises and a valid claim under this Limited Warranty is received by Gates Gates after the first one hundred and eighty (180) days of the warranty period, Gates Gatres is entitled to charge you for any reasonable shipping and handling costs made in connection with the repair or replacement of the goods. You must comply with any other return procedures stipulated by Gates Gates, if any. What This Warranty Does Not Cover The Limited Warranty does not apply when the goods have been opened or repaired by someone not authorised by Gates Gates and does not cover repair or replacement of any goods or part thereof damaged by: misuse, moisture, liquids, proximity or exposure to heat and accident, abuse, non-compliance with the installation and/or usage instructions supplied with the goods, neglect or misapplication. Any disfigurement / removal / tampering of any labels attached to the product, will invalidate the warranty. The Limited Warranty does not cover physical damage to the surface of the product or calibration of the product. This Limited Warranty cannot be transferred to any other person. This Limited Warranty does not affect any legal rights under applicable national legislation governing the sale of consumer goods. Any product that needs to be returned to Gates Gates (whether in warranty or not) will only be accepted when accompanied by our Returns Authorisation document - this document can be faxed / emailed to you from our office. The document must be filled in with as much information as possible, to enable us to administer the product(s) when they are received at our Goods-In department. Any goods received without the documentation will not be processed. Goods returned for credit will only be accepted if they are in their original boxes, undamaged and complete with instructions etcetera. Gates Gates may accept the goods back under the following conditions. Goods will only be replaced once the goods have been returned to us. If the items were not specially ordered for you or your client. We receive a written / printable notice of your return (we will then issue a RAN). The goods are returned to us within 21 days of delivery of the goods The goods have not been installed. The goods are returned as complete items All packaging, fixing kits and instructions are as new. 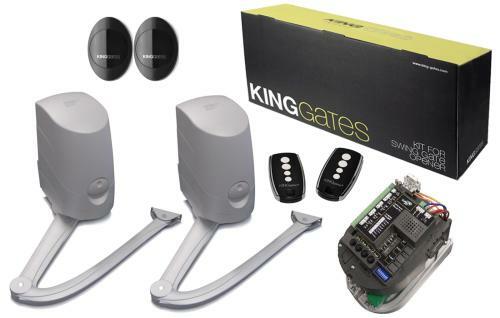 Gates Gates do not offer a cancellation policy as most items are shipped the same day. A minimum re-stocking/handling charge of 20% will be made for all goods returned for credit and all will be subject to our discretion. If any of the above conditions do not apply, then Gates Gates reserve the right to refuse the goods back. Consumers have a statutory right to return an item without giving a reason (except specially ordered items) under the Distance Selling Regulations; if you need to do this, then your cancellation notice must be received by us in a written / printable form within seven days of delivery of the goods; we will then issue you with a RAN which must accompany the goods; we will refund your money within 30 days of receipt of cancellation providing you have returned the goods to us undamaged. The cost of returning the goods will be at your own expense. (In warranty & out of warranty) Goods should not be returned for repair or warranty claim without first obtaining a Returns Authorisation Number (RAN) failure to obtain a RAN will result in the returned goods being turned away from our Goods-In and returned to the invoice address as undeliverable. In addition, goods returned for repair or warranty claim must be accompanied by a note indicating the nature of the suspected defect, showing clearly the returnee's full name and address and giving proof of purchase from Gates Gates. All goods returned to us for repair or warranty claim will be inspected and repaired / replaced as necessary. In warranty repairs will not carry any parts or labour charges, provided the products were found to be faulty due to component failure. Out of warranty repairs will be subject to charges which cover the labour, replacement components and carriage. We will excise a Lien as described above, where payment for goods or services has not been made. Where we deem a repair to be uneconomical, we will contact you for a decision on our course of action. Neither Gates Gates nor its suppliers shall be liable to you or to any third party for any damages either direct, indirect, incidental, consequential or otherwise (including in each case, but not limited to, damages for the inability to use the equipment, loss of business, loss of profits, business interruption or the like) arising out of the use of or inability to use the goods even if Gates Gates has been advised of the possibility of such damages. Notwithstanding any damages that you might incur for any reason whatsoever (including, without limitation, all damages referenced herein and all direct or general damages in contract or anything else), the entire liability of Gates Gates and any of its suppliers shall be limited to the amount actually paid by you for the goods. Now Gates Gates shall not be liable for (i) any fraud on the part of its employees and/or agents; or (ii) any fraudulent misrepresentation on the part of its employees and /or agents. Notwithstanding the above, neither party's liability for death or personal injury resulting from its own negligence shall be limited. If any of these terms shall become or be declared illegal, invalid or unenforceable for any reason whatsoever such term shall be divisible from these terms and shall be deemed to be deleted from them. In accordance with Gates Gates policy of progressive improvement, we reserve the right to alter the specification and/or price of any article without prior notice without incurring any liability. All information and data given in company literature is subject to variation and is for general information only. All goods or services referred to on outstanding invoices due to Gates Gates by the Buyer shall remain the absolute property of Gates Gates until payment of all invoiced amounts have been received and cleared. In the event of default by the Buyer responsibility for payment in full of all goods and services ordered by the Buyer together with costs and interest is that of the Buyers Directors either individually or collectively. It is a condition of trading that such Directors will indemnify Gates Gates for all costs and losses due howsoever caused. Should you need to contact us please call customer services 01992465999 or e-mail at sales@gatesgates.co.uk. Unit B Nicholson Court Geddings Road Hoddesdon Hertfordshire EN11 0NE. V.A.T Registration No.104 5561 42.